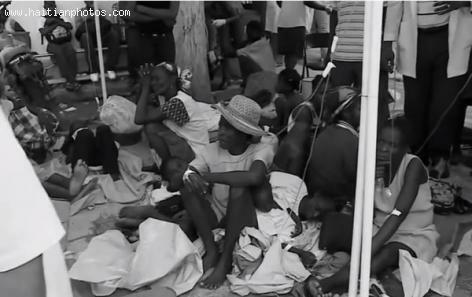 After losing lives and homes, the threat of a cholera outbreak caused further panic among the population in Haiti. 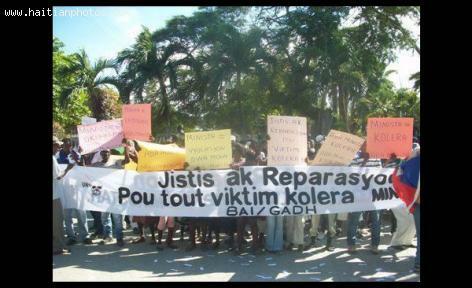 15 cases of cholera were reported in Port-au-Prince when riots began and lasted for days in Cap-Haitien. 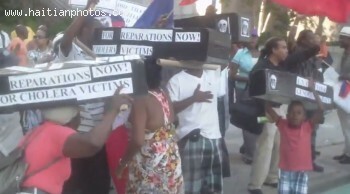 Five people were reported killed and the UN was asked by protestors to leave Haiti. Answering this, the United Nations stated that the riots were not because of the outbreak, but due to tension over the upcoming elections. They also denied claims that their personnel shot a number of protestors. 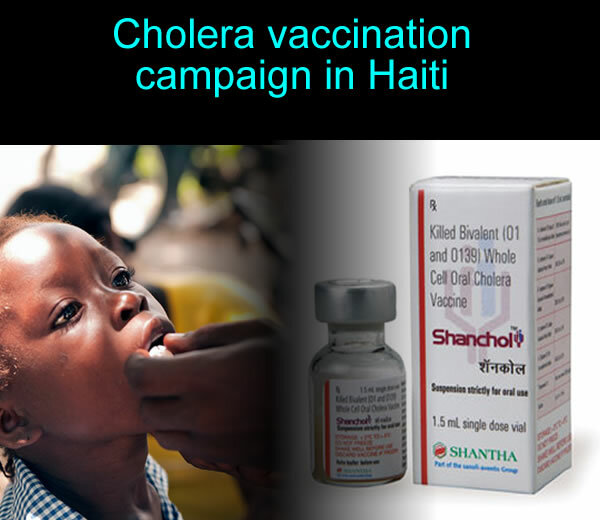 Successful Cholera vaccination campaign reported in Haiti. A three-part vaccination campaign, under the National Plan for Elimination of Cholera, is being carried out. Phase two successfully issued two doses of vaccine to Artibonite, Centre, and West Departments. 286,837 people have been vaccinated. Of them, 53% were women (and children under the age of 15), both most at-risk. 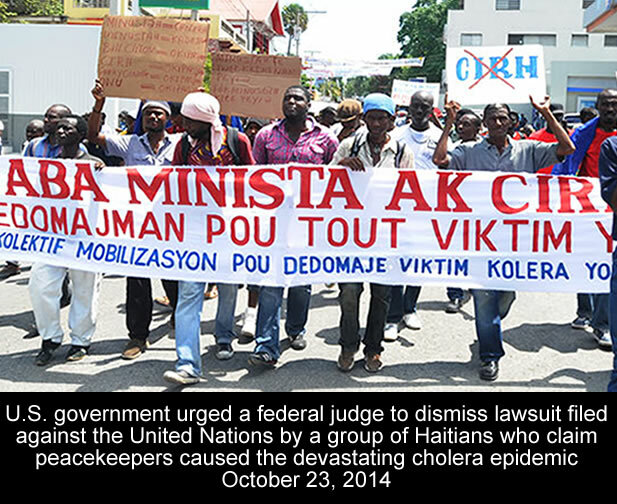 Undiagnosed cases of cholera have been reduced by 76% in 2014 compared to the past year. Phase three occurs in December 2015 when 313,454 people will receive the vaccine. 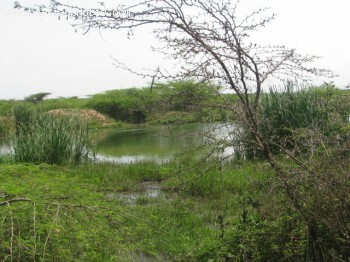 Already susceptible because of the poor living conditions faced within the region's poorest nation, made worse by the inaccessibility of clean water for drinking and cooking and unsafe practices for the disposal of waste, Haiti was a sitting duck to the Nepalese strain of the cholera virus, unleashed into the water supply by unsanitary practices at the UN base. Very little could be done as the death toll rose alarmingly. In 2011 alone, some 6,700 people were killed. Up to one year ago over half a million people had become infected. 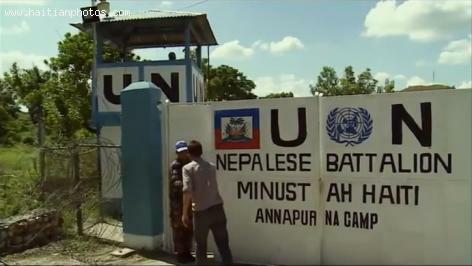 Following the cholera outbreak after the earthquake in 2010, the United Nations was quick to deny an involvement, though early sources were citing the camp of their Nepalese peacekeepers as the root. In a series of attempts to hide the truth, including an inaccurate statement on the conditions of the base and the sub-standard testing of samples taken from the scene, which came back negative for cholera, it took DNA testing from the U.S. CDC to clear it up. 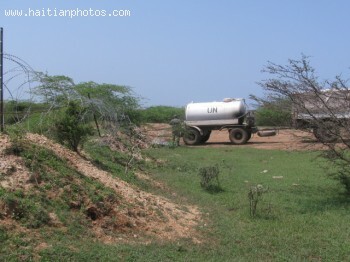 A view of a Tanker Truck as it is dumping excrements taken from a nearby Nepalese U.N. base. Many believe that this sewage as traveled over 400 miles from nearby Nepalese base to contaminated the Artibonite river. This is a picture of a Tanker Truck owned by U.N. As you can see, the truck is in the process of dumping waste materials in an area close to their base in the region of Mirebalais, Haiti. So far the the strongest evidence that the choleral outbreak in Haiti came from Peacekeepers from Nepal. Researchers used advanced sequencing, a new technology to confirm their finding. 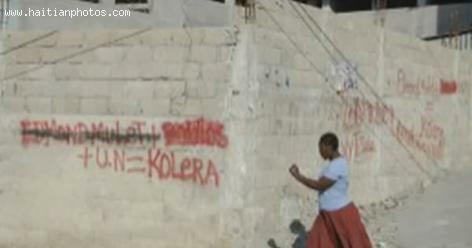 the cholera outbreak has so far sickened 428,785 people and killed 6,194 in Haiti. 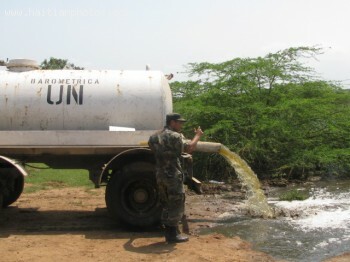 Since the beginning of the cholera outbreak, suspicion focused on Nepalese soldiers serving in at a UN peacekeeping base where sewage was dumped into the Artibonite River.